Time is sure flying by since I returned to the states for a visit. I have been blessed abundantly with the days I’ve had here. My trip home was refreshing as I experienced a new flight pattern flying out of Kenya. A great change was flying out early in the morning instead of almost midnight. Flying during daylight hours and over different countries than when I flew out of Uganda. This new flight is great as it makes a real difference in the jetlag. Jetlag this time was almost non-existent as I fell right into the time zone here easier than ever before. The flight pattern took us over Sudan and Egypt. 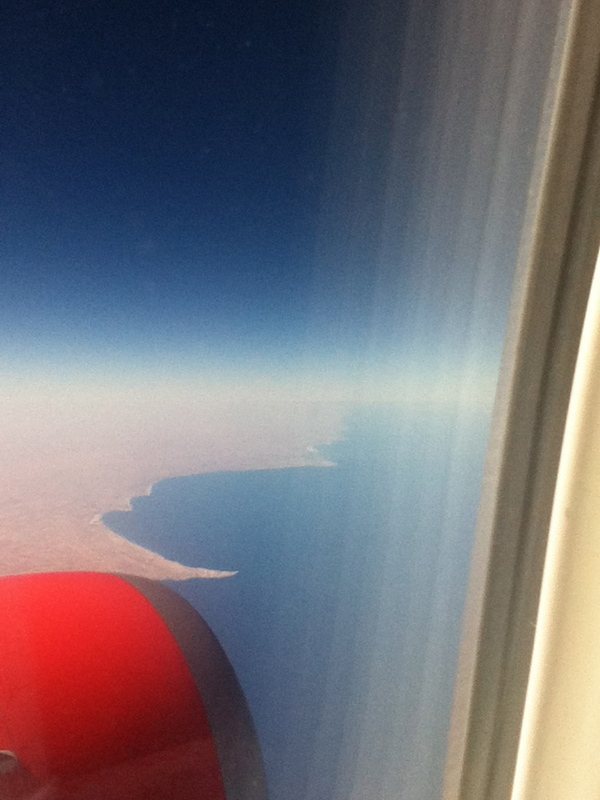 For many hours the plane flew over barren desert lands, something I had never seen before. What a delight to see the contrast between those barren desert lands and the beautiful blue waters of the Mediterranean Sea. This is a picture although not very clear, but it shows the contrast. My first few days were filled with hours and hours with my family. Of course that has continued, but the first few days I am home I can’t seem to get enough hugs and kisses! I guess we do a good job of making up for all the months we are apart! Every time I come home, my family has changed. My grandchildren of course have gotten older, but most often not only are they older, they are usually taller! Sometimes by several inches as was the case this time for my grandson Eli. Not only is Eli several inches taller than he was when I last saw him, he is now driving. What fun it was to go to school to pick him up, then swap places and let him drive us back home. 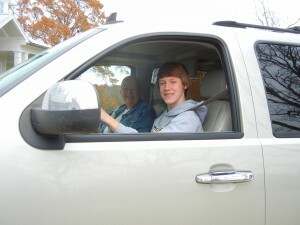 My grandson Eli driving us home from school…. The seasons of my life are sure changing. I am driving my grandson Stephen’s truck while I am home and have been added as driver to my son’s insurance policy. We have laughed a lot about how weird this is…..seems just like yesterday that my children were learning to drive and I was adding them to my insurance policy! But oh how thankful I am for changes in life. Changes mean we are moving on and going through the aging process just as God intended for us too. It’s an exciting time to see my grandchildren grow up and become more and more independent. Not only do the seasons of my grandchildren’s lives change while I am away but also my children. I love coming home and hearing/seeing how God is working in their lives. While I am away, I know they are serving the Lord faithfully; yet, it is a wonderful thing to come home and see them in the midst of the work they are doing for Him. 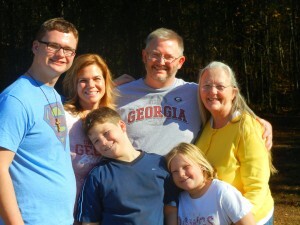 Parenting, teaching, mentoring and serving God with their daily lives. Precious time with my son Bryan and his family Thanksgiving Day…. My beautiful daughter Dana and her family yesterday…..
Also since I’ve been here in the states, I had the incredible opportunity to spend some time with Dr. David Platt and the Radical team. What a joy to be interviewed by Dr. Platt and share how God is working through his Secret Church materials in Africa. It is a great honor to be partnering with Radical again in 2013, taking the next series of Secret Church teachings to the pastors in Kenya. Our Secret Church conferences will once again go throughout Kenya and the teachings for 2013 will be: Who Is God, Exploring the Holy Spirit and Angels, Demons and Spiritual Warfare. While I was in Birmingham, I was also blessed to attend the Multiply Gathering with Dr. Platt and Pastor Francis Chan. I along with people in more than 100 countries watching via simulcast was challenged and encouraged to take disciple making to a deeper level. The new Multiply discipleship material is also part of the work I will be doing in Kenya in 2013, alongside the Secret Church conferences. Please visit http://www.multiplymovement.com to learn more about the new Multiply discipleship material. Thanksgiving has come and gone and now all around I see the Christmas season coming. Still lots more joys and wonders to enjoy before I head back to Kenya the first week of January. 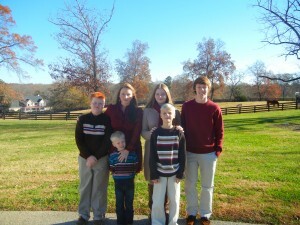 Pray for my family as God gives us this wonderful season together. The Life and Mission of Joy Breedlove is powered by	WordPress 3.4.2 and delivered to you in 0.156 seconds using 34 queries.